SSL/TLS encryption has become a standard security technology used by millions of websites to protect online customer transactions, such as financial or ecommerce transactions. 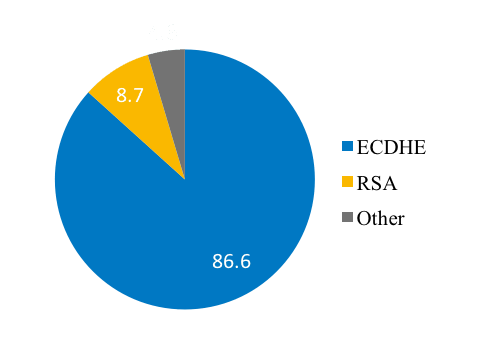 Nearly 70 percent of Internet traffic is encrypted, and more than 85 percent of that traffic uses advanced encryption methods based on elliptical curve cryptography (ECC), a public-key-based cryptography; and perfect forward secrecy (PFS), a property of secure communication protocols in which compromise of keys over the long-term does not compromise past session keys. As the amount of encrypted traffic on the web continues to boom, companies like Apple and Google are urging app developers to implement advanced encryption methods to protect applications and customer information. In fact, Google gives preferential search treatment to websites that are protected by SSL/TLS encryption. Additionally, the spike in traffic caused by the rise of Internet of Things (IoT) devices – which could reach 30.7 billion globally within the next three years – should use secure communications, thereby reinforcing the need to swiftly and securely process this traffic, according to a report by research and analysis firm IHS Technology. Add to that the exponential growth in the number of connections per second, and the amount of traffic that must be processed securely explodes. Businesses face the challenge of addressing their current encryption and decryption needs while planning for the future, all while avoiding the inherent performance hit that often comes with SSL/TLS solutions. To address this need to blend security and high performance, today A10 Networks announced its third-generation SSL/TLS hardware solutions. These new A10 Thunder models provide up to twice the performance of comparable products from competitors for advanced encryption, dramatically reducing the cost per connection. In addition to out-performing competitors in connections per second (CPS), bulk throughput, and other key areas, A10 also supports the modern ciphers needed to help organizations overcome the challenges of providing advanced SSL/TLS decryption and encryption for both application acceleration and security visibility. This new SSL processing horsepower is available in select A10 Thunder hardware appliances across our product portfolio, including Thunder ADC (Application Delivery Controller), Thunder SSLi (SSL Insight) and Thunder CFW (Convergent Firewall). These new A10 third-generation SSL/TLS solutions deliver the processing power to handle the most advanced encrypted traffic generated by today’s modern applications and devices connected to your network. And unlike competitive solutions, A10’s SSL modularity helps existing customers scale to accommodate future traffic without a forklift upgrade to replace their existing appliance, offering true investment protection and savings. To see how A10’s third-generation SSL/TLS solutions stack up against comparable solutions from F5, please see our blog post ADC SSL Offload for PFS and ECC Traffic That’s Faster, Better and More Affordable Than F5 and Citrix.